Hugo’s, Agoura as my first restaurant review has set the bar high! This restaurant was recommended by my Pilates instructor, Francine. When she told me about this restaurant, I knew that I wanted to save it for my first review. What I love most about Hugo’s is the variety on the menu. There is literally something for everyone. They have traditional dishes such as a traditional macaroni and cheese (pictured), spaghetti and meatballs, steaks, and burgers. 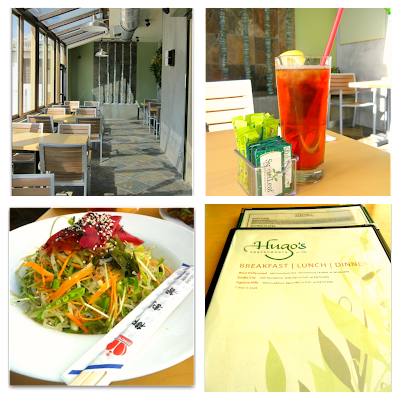 They also have a wide assortment of vegan and vegetarian cuisine. In addition, they have a large selection of gluten-free items on their very massive and eclectic menu. Many of the items on the menu are interchangeable so one can swap chicken for tofu or whole wheat for gluten-free bread, etc. What loved most about this restaurant however is that I do not need to feel like I would be skimped on my veggies. I sometimes feel that some restaurants utilize veggies more as a garnish or as an afterthought. Hugo’s on the other hand celebrates the vegetable in so many diverse and unique ways. The food was great. We ordered the quinoa beet salad (pictured) which is perfect as a side salad. We also ordered the kelp noodle bowl that used the gluten-free kelp noodles in place of rice, wheat, or flour based noodles (pictured). It was a very light and crispy dish and the mango-tahini dressing definitely gave it a little kick, however I would not recommend this particular dish to a traditionalist. We also tasted the Cuban sandwich which was highly recommended by our waiter. The Cuban sandwich (pictured) came on a gluten-free bun, which in my opinion was one of the best gluten-free breads that I have ever tasted. The sandwich consists of grilled tofu (can also be swapped for chicken), honey-chipotle sauce, fried plantains, goat cheese, organic mixed lettuce, tomato, grilled red onions. They also have a huge selection of teas and fresh juices. The prices are very reasonable, looking at an average of $10-30 per person. Dietetic Balance – Offering a variety of foods that have balanced servings/portions using protein (including lean protein), carbohydrates (including fruits, vegetables, grains), and fats. Diet Restriction Sensitivity – Restaurant caters to more than one type of limitation or lifestyle including: Kosher, gluten-free, wheat free, vegan, vegetarian and other food allergies/ limitations. Clean Eating (food) – Food at the restaurant uses “clean” ingredients meaning that the produce used is fresh, and a majority of the ingredients are free of preservatives (homemade). The bulk of the ingredients used are not highly processed (this includes whole grain flour instead of white flour). The majority of the meat and fish is fresh not pre-frozen. This also includes the use of organic, non-GMO, hormone and antibiotic free. Service – Friendliness of staff, speed of service, knowledge of the menu. 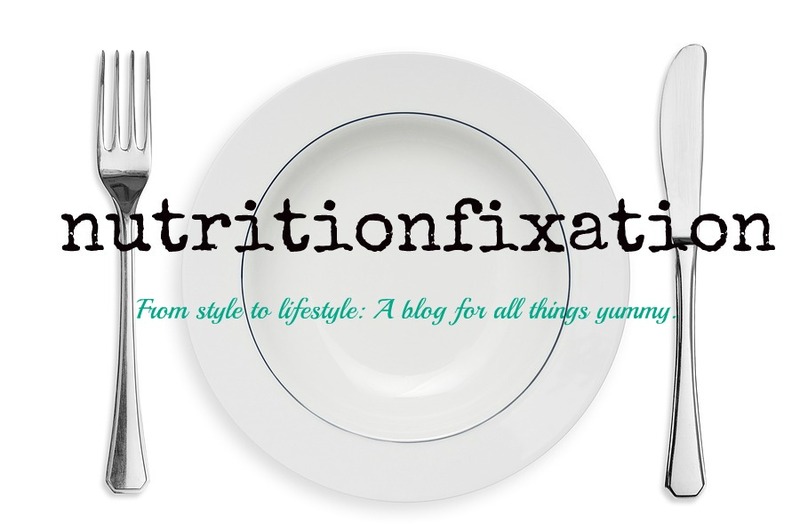 Palatability – How delicious the food tastes. Cleanliness – A clean appearance and sanitation level of the restaurant as a whole. This includes the tables, plates, flatware (silverware), floors, restrooms, etc.